ST. GEORGE – A bill pushed by U.S. Sen. Mike Lee, R-Utah, mandating that a federal agency designate a route for a roadway through the Red Cliffs Desert Reserve was highlighted during a Senate subcommittee hearing Wednesday. Lee’s bill, S. 3297, the “Washington County, Utah, Public Land Act,” was among many heard before the Senate Energy and Natural Resources subcommittee. The bill was introduced last month and is a companion to similar legislation by U.S. Rep. Chris Stewart, R-Utah. Stewart’s bill passed the House Natural Resource Committee in a 21-14 vote June 6. Lee said the bill strikes a balance between the needs Washington County’s rapidly growing population and the protections of the Mojave desert tortoise, which is listed as threatened under the Endangered Species Act. With that growth comes additional traffic, which makes the northern corridor all the more necessary, according to road planners. Without the northern corridor, the local transportation system will ultimately fail, state and county road planners have said. Due to the geographical limitations of the area, road planners consider the most viable route for the roadway to be through a part of the Red Cliffs Desert Reserve. The Bureau of Land Management was mandated by Congress to designate a route for the northern corridor as a part of the 2009 Omnibus Public Lands Act, Lee said, adding the BLM was supposed to designate the route within three years of the legislation’s passing. “Now, almost a decade later, the Department of the Interior has not permitted a transportation route that meets this rapidly growing county’s needs,” Lee said. Opponents of the northern corridor argue that the BLM was only told to consider the feasibility of a transportation route and had not been mandated to create one. Lee’s bill would establish a 4-mile long, 300-foot wide route for the northern corridor through the Red Cliffs Desert Reserve. It also allows for continuing utility development along the highway. Because the roadway cuts through land set aside for the protection of the endangered Mojave desert tortoise, the bill proposes to expand the tortoise habitat by nearly 7,000 acres to mitigate the impact of the road. The proposed expansion, designated as “Zone 6,” would be created in the area south of Santa Clara and west of Bloomington Hills. The new roadway would displace between 10 and 20 desert tortoises, Lee said, and called the Zone 6 area prime habitat that would also protect many more desert tortoises found in that area. The bill would also renew the Washington County’s Habitat Conversation Plan, or HCP for another 25 years. The original HCP was created along with the Red Cliffs Desert Reserve in 1996 and allows the county to oversee management of tortoise habitat in partnership with federal lands and wildlife agencies. The original plan expired in 2016 and has been temporarily extended as Washington County officials and federal agencies negotiate a new plan. Among the issues that need to be resolved in order for the plan to move forward to renewal is the northern corridor. “S. 3297 would be a win for both the county and for the desert tortoise,” Lee said. During the hearing, Lee asked Christopher McAlear, a BLM representative, why the federal agency hadn’t moved to designate a route for the northern corridor. Because the roadway cuts through protected habitat, the BLM and others federal agencies have not been eager to approve it or consider it a viable part of future resource management plans for the Red Cliffs National Conservation Area. Washington County resident Richard Spotts, who has worked for various federal agencies including the BLM, sent a letter to the Senate subcommittee opposing Lee’s bill. In his letter he states it sets a bad precedent to allow congressional edict to circumvent federal protections and regulations. Spotts further wrote he believes Washington County officials have given more priority to the county’s growth and development over long-standing commitments to the Red Cliffs Desert Reserve and the preservation of the desert tortoise. 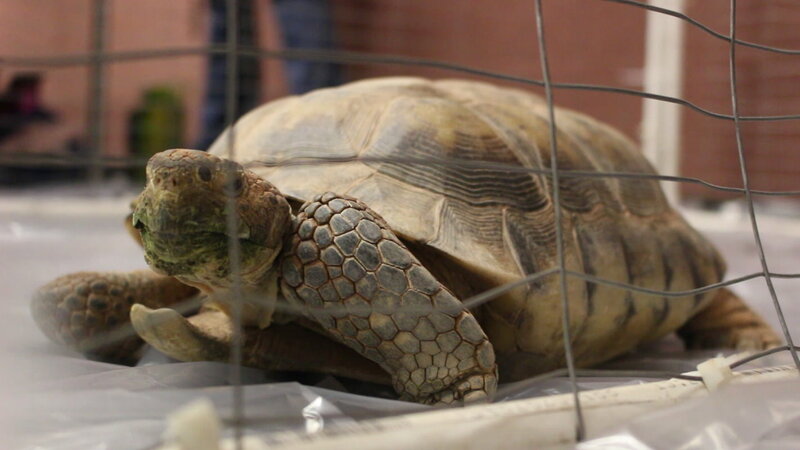 The Desert Tortoise Council, a nonprofit group that promotes the conservation of the tortoise, sent a letter opposing the bill to Senate Energy and Natural Resources chairwoman Sen. Lisa Murkowski, R-Alaska. “The Council believes that construction of this new highway would create new impacts and threats that cannot be mitigated by enlarging the existing Reserve,” council chairman Edward LeRue wrote. The road’s impact on the area will not be small, he wrote, claiming it will draw additional predators who are attracted to roadkill, and that there will indirect impacts and degradation to habitat up to 2.5 miles from the roadside. While introduced to the subcommittee Wednesday, Lee’s bill has yet to be voted on. Hey, I spotted on that map a great location for a new Alien Spacecraft Port of Entry. But seriously, what data do we have that there has been a 41% decrease of Tortoise #s, and from which date to when? This Reserve was supposed to be a Turtle Farm, eh? Seriously again, what kind of roadkill is going to attract predators? Lizards and bunnies? I’ve seen a dead deer lie on the side of the road near where the north corridor connects with Snow Canyon Parkway / Skyline and even the ravens wouldn’t touch it for a year. It lay there right alongside the “turtle fence” as I think it’s called locally. he he That said there are wayyy too many ravens who predate on tortoise young and I think they should be controlled but instead they are protected. I bet if they brought the Condor into the picture they could lock this new road down though. Who knew? “S. 3297 would be a win for both the county and for the desert tortoise,” Lee said. That is certainly Senator Lee’s opinion, but it is not fact. It remains to be seen if that would happen. What is fact is that the surveys done on the Reserve’s Zone 3 and proposed Zone 6 are different so the tortoise densities upon which the county and the senator are basing their opinion that it would be a win-win are not comparable. The survey done on Zone 3 is methodology that has been in use for nineteen years. Why all of a sudden did the county and Utah Division of Wildlife Resources feel it was appropriate to change survey methodology at this critical time? In fact, Reserve Technical Advisory Committee meeting minutes from early in 2017 reveal that the administrator said the nineteen-year-old methodology would not change until 2019 but then a few months later in 2017 it was changed. Was it perhaps to have the density numbers look better than they might have been with the older methodology? I do not know but I do wonder. Agreements made over twenty years ago by leaders who were aware of growth projections from studies done at that time and which have been borne out should be adhered to, and current leaders should go back to the drawing board and come up with a new plan. This $110 million dollar road will not solve Washington County’s transportation problems. It’s too close to the core of the city to be of much help and will just become one more congested road in an area where it never should have been. The Zone 6 western border is the planned Western Corridor and that will just put more growth pressure on that zone. 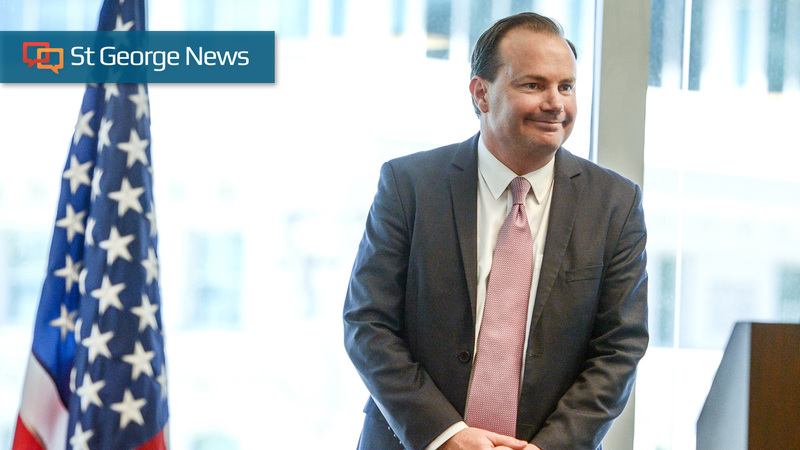 It’s a win-win, Senator Lee, but not for the tortoises. It’s a win-win for the county and developers. 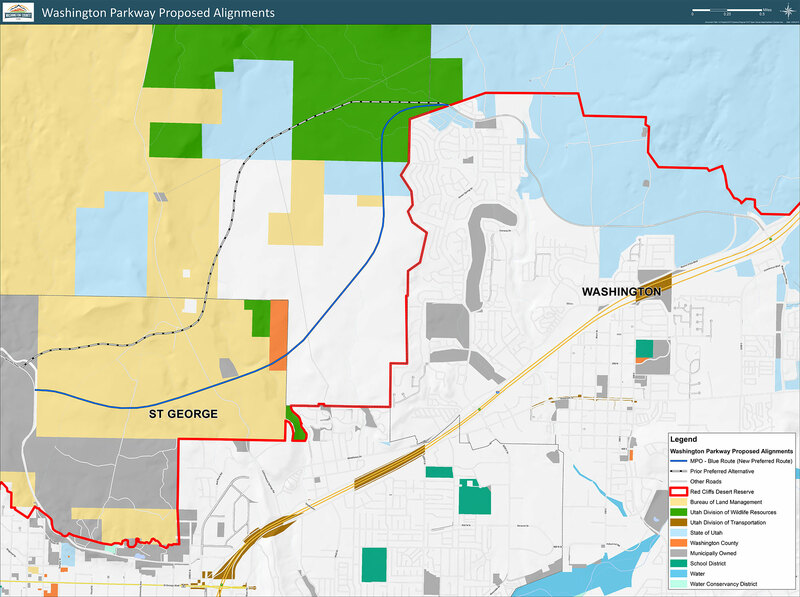 The tradeoff of increased acreage for the reserve in exchange for the corridor seems reasonable. By the way, the article states Lisa Murkowski is R-Arkansas. She is from Alaska. Alas, I know how you feel. I’ve become jaded. Being from So. Cal, I can tell you what new and improved roads bring. It never stops. I know you’ve been here long… you’ve seen the trash show up where it never was, graffiti scratched into rock walls, that were pristine… forever. Last time I walked up Red Cliffs campground trail I was shocked. That isnt all Vegas people – an Idaho guy and his wife just got fined 2K for marking up Corona Arch with a heart and initials. BTW the only Gila Monster I’ve ever seen was between the campground there and freeway on a cross country walk, about 20 years ago.